More than just a timeless social ritual, tea culture has played a key role in shaping the economic and political histories of countries all over the world. Since 2011, Teavine House has cultivated a little of that rich history for visitors to experience within the peaceful surrounds of picturesque Tallebudgera Valley on the Gold Coast. Born from a love of high tea and passion for travel, Teavine House is known as a warm yet exclusive venue, and has provided the setting for countless treasured memories for visitors over the years. Specialising in traditional high tea, Teavine House is a favourite venue for weddings, baby showers, bridal showers, birthdays, and other special occasions – though a visit in itself is an occasion to remember. Taking ownership in 2018, Sonia and Steve were delighted to find this unique location where people came to share a piece of their own family story. The owners drew on a diverse business history spanning more than 40 years, which included ownership of a coastal café and boat hire in northern NSW, as well as the iconic Reflections restaurant in Palm Beach, NSW. For Sonia, the new venture was the perfect indulgence for her own love of fine china, which began with a gift of four exquisite Royal Doulton teacups from her mother. 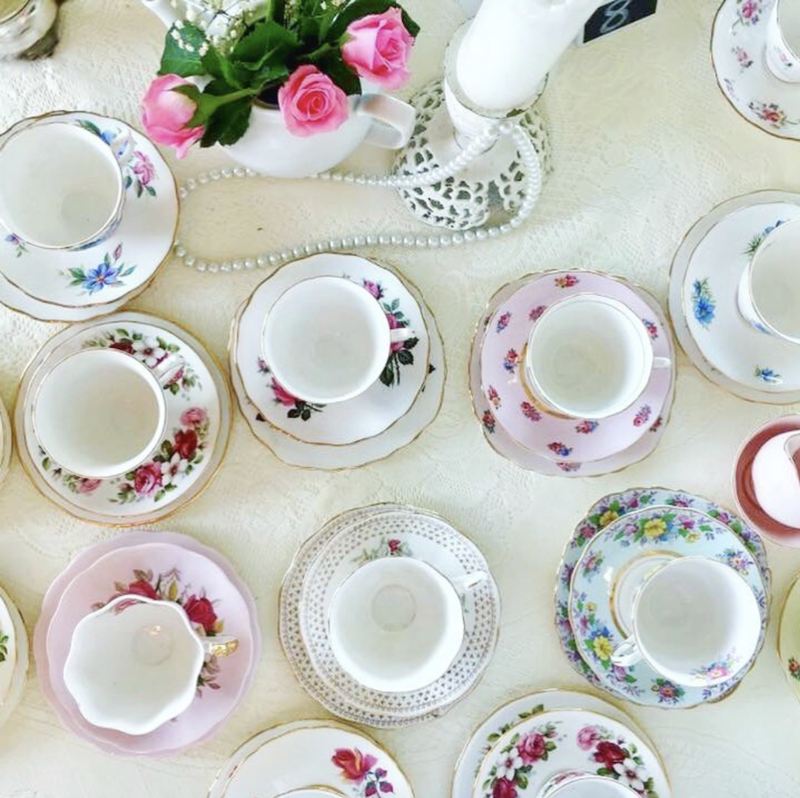 Over the years, Sonia completed that Old Country Roses set, and went on to collect many more fine pieces of vintage tea ware. At Teavine House, visitors savour the best quality artisan teas, sourced from around the globe and served from an extensive range of beautiful teacups and teapots, gathered lovingly over several decades from a lifetime of travels. Our dedicated staff members serve every high tea with the sense of ceremony it deserves, ringing a bell as tiers of petite sweet and savoury treats are placed before delighted guests. From the individual patisseries, to our freshly baked signatures scones and very own strawberry jam, each item is made in-house with love. A stroll through the lush grounds reveals the Teavine House experience lies in the details, from hanging teapots and pearl curtain tiebacks, to the feature glass vanity in the restroom. Teavine House continues to evolve, while always maintaining its essence of a special place where family and friends gather to share life’s most significant moments.